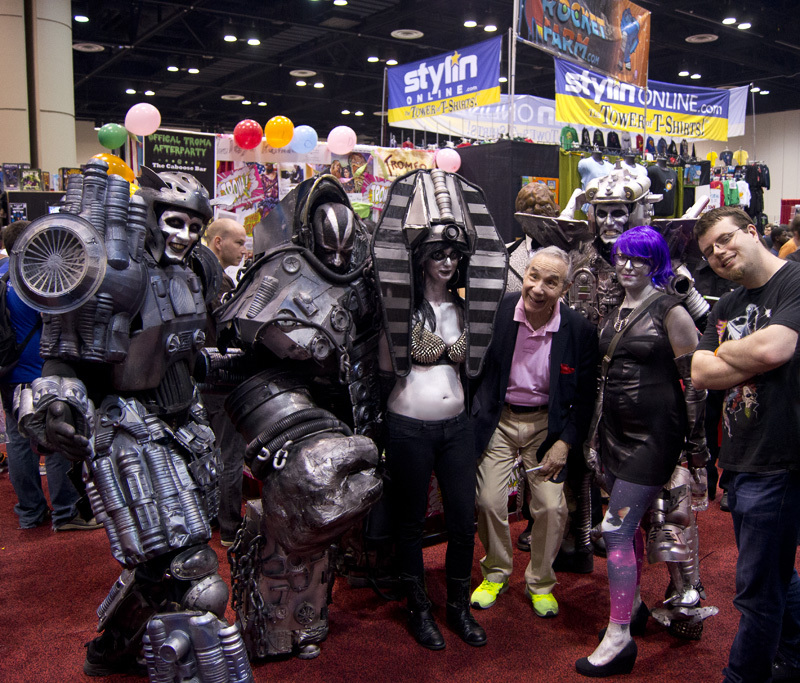 We had a great time at Megacon this past weekend! The Robots would like to thank Sparkplug McGee and Space Egypt for lending us their personages. Also, thanks to Rocket Roadie for rocketing us to the Con and flyering. Lloyd – I would love to be in your first film! Max – You are in our first film! You’re the President of the Universe. Lloyd – Really? My people don’t tell me anything… when does it come out? Max – 5 years ago! You were awesome! Work continues on The Killer Robots! Crash and Burn. There are roughly 100 shots left to composite (out of 2000). It’s been a long journey and we look forward to taking it to the festival circuit. In the meantime, check out this podcast advertisement with Strobo, Auto and a guest appearance by Strobo’s sister, Mary. That’s all for now. See you in the future! Courtesy of the Space Egypt Archives. 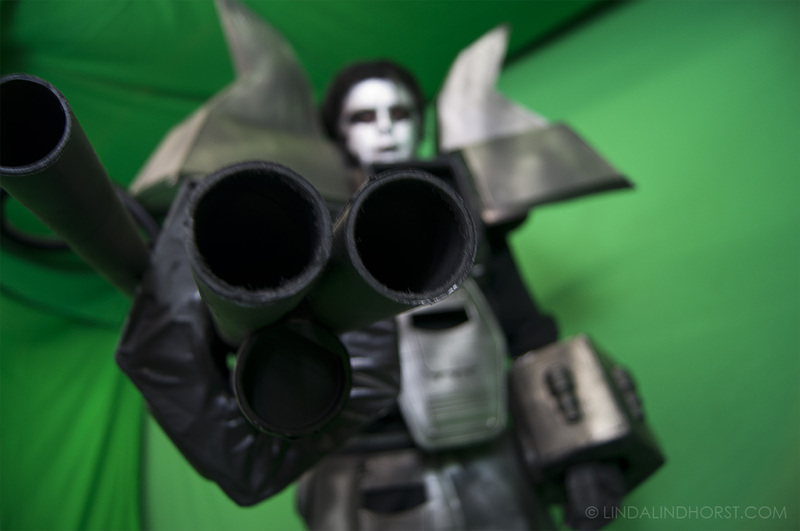 If you’re going to Megacon this weekend, keep an eye out for the The Killer Robots! We’ll be maneuvering our way through the convention this Saturday, April 10th along with Space Egypt and Sparkplug McGee. Hope to see you there! Hello Earthlings! 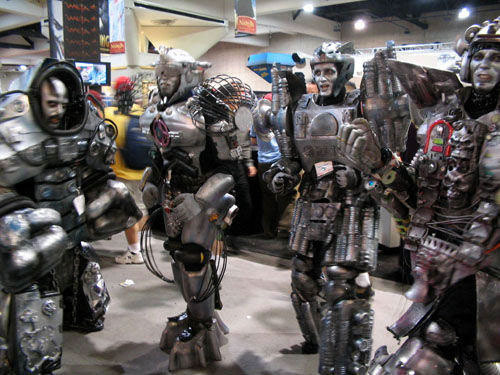 The Killer Robots will be at the Melrose Center this Saturday from 2-5 for their 1 year anniversary event. The event runs from 12-5 and hosts a number of fun and educational programs so come out and say hi! Thanks to Scott Yuken for helping bring Samuel Williams’ Oberion to life. Watch his Yukendoit video below to find out more. 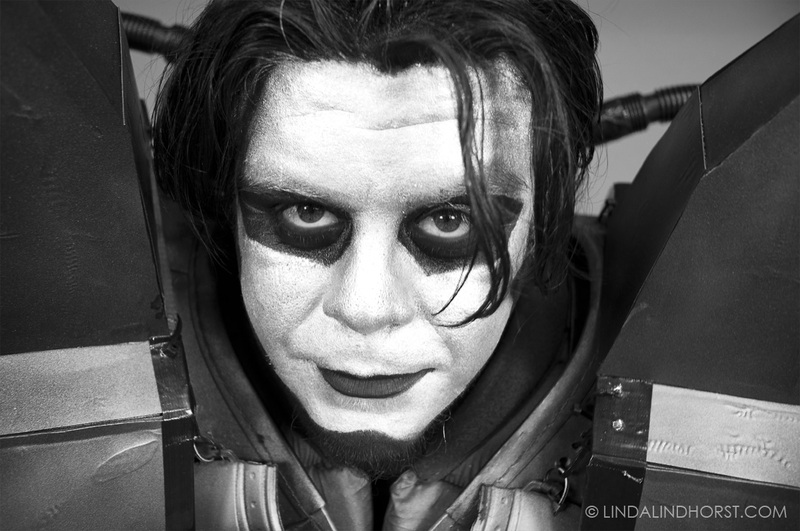 The Killer Robots had a lot of fun this past weekend filming with the indomitable Jesus Rodriquez, AKA Ricardo Rodriguez, El Local and Chimaera. Jesus is a hard working wrestler known for his time in the WWE and throughout the independent circuit. We are honored to have him on board as Metallum Apocalipsis! You can follow Jesus on twitter and on youtube. 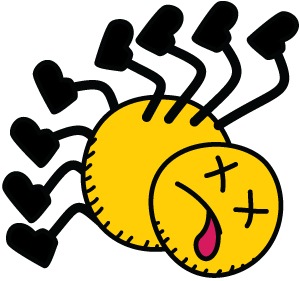 -John and Laurel Schumann of Dead Spider Studios. We had a blast at Otronicon in support of the Melrose Center. Thanks to all who stopped by to say hi. Also, a mighty hand for Linda Lindhorst and Scott Yuken as Space Egypt and Rock Lobster, respectively! Keep a look out for more Killer Robots! appearances in the future. We are near completion of our new movie and hope to be playing out again soon! 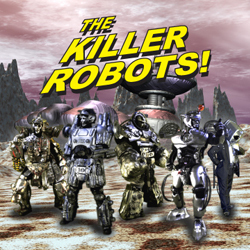 This Saturday and Monday, The Killer Robots will be at the Orlando Science Center for Otronicon. We’ll be helping out with Melrose Center at their booth. They’ll have a photo booth, video green screen, audio production bay, simulators and a 3D printer. Come say hi! Here’s another vlog by Scott Yuken of Yukendoit. Scott checks in with Sam Gaffin as they assemble Gooblex – the next robot warrior to go before the cameras on The Killer Robots! Crash and Burn. Be sure to subscribe to Scott’s channel if you like! 0 Vloggarama – With the Killer Robots! 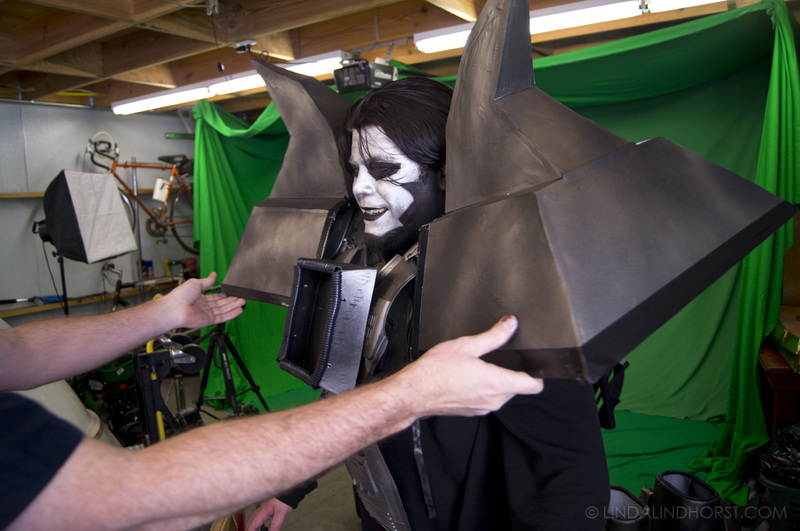 Check out Scott Yuken’s vlog Filming with The Killer Robots! Work continues on The Killer Robots! Crash and Burn. Looking at a February finish date. Will keep everyone updated! We had a great time at the first annual Orlando Nerdfest! Thanks to all who came out. It was a fast paced and well organized show with a lot of diverse and talented acts from the nerd music universe. We ran into a lot of old friends and made some new ones along the way. We will be locating footage of the event, so stay tuned! 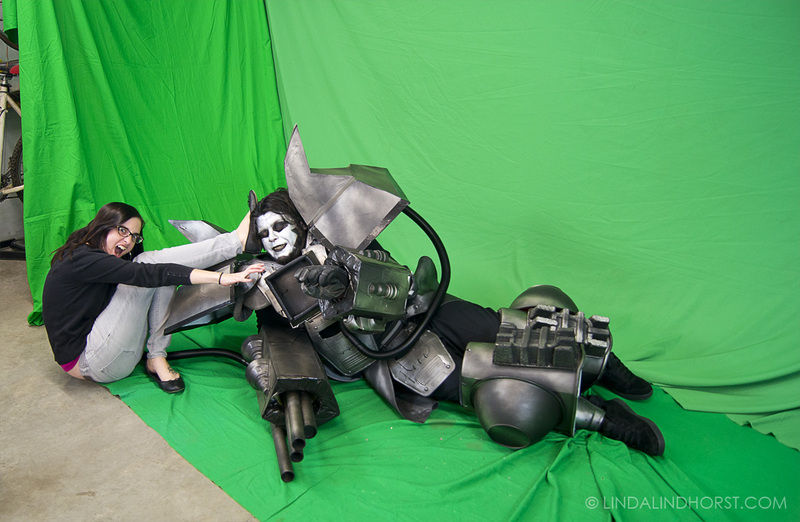 We’ve got a bunch more photos up at the Killer Robots Facebook page. Check them out if you get a chance. There’s about ten years worth of shows in there. Work continues on The Killer robots! Crash and Burn movie with an eye on November for a finished rough cut. If you haven’t seen the trailer yet, please check it out at http://youtu.be/WfdfHmgk1-c. Thanks and see you in the future!